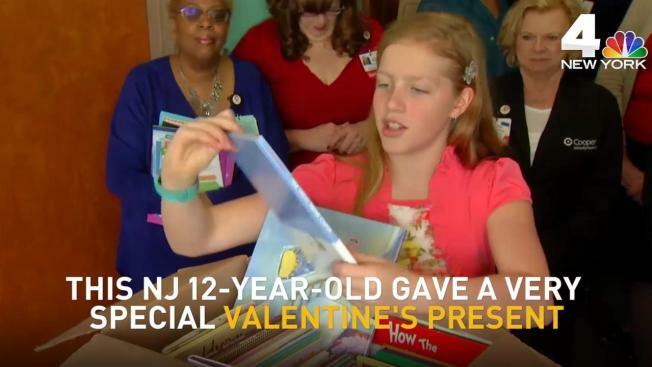 A New Jersey girl went above and beyond her goal to make sure kids in the hospital have something to keep them busy. Over the holidays, Charlotte Olson set a goal of collecting one thousand books for the "Reach Out and Read" program in her hometown of Voorhees. The 12-year-old made good on her promise and delivered 1,303 books to Cooper University Health System Wednesday. She also raised $250 dollars for new books. "I've always wanted to do something like this and help others," she said. "When I was little, I dreamt of being on the news and collecting for people." The program allows doctors to gift books to their patients to get them reading either alone of with their parents. As for Charlotte, her aspirations may bring her back to the hospital — she says she wants to be an emergency room doctor.